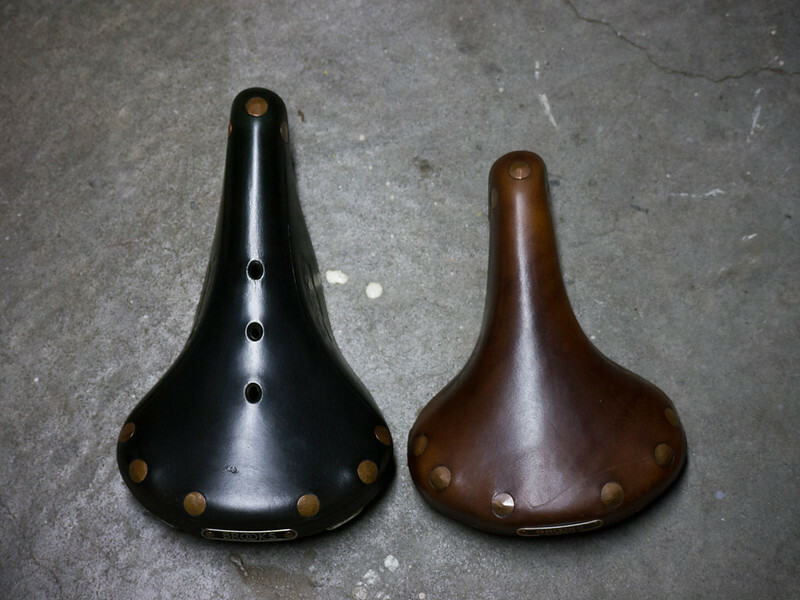 I always thought that a shorter “women’s” saddle should work great for the fellas. There is less nose to get in the way of your junk, right? I saw my chance to try one when Kent Peterson posted for sale a ti Brooks Finesse. 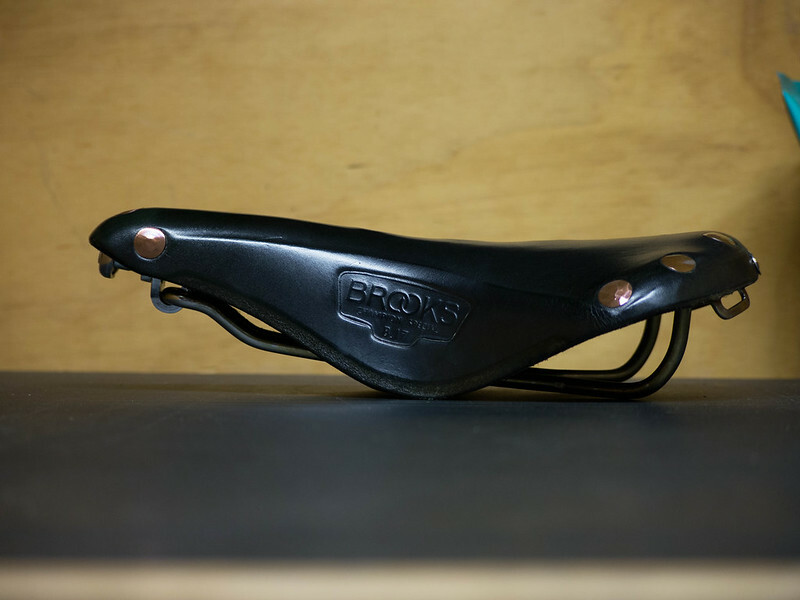 I pounced thinking it would be a great way to try both a ti Brooks and a short nose saddle. It was a bit on the dry side, so I put a few coats of Proofide on it to soften it up a bit. 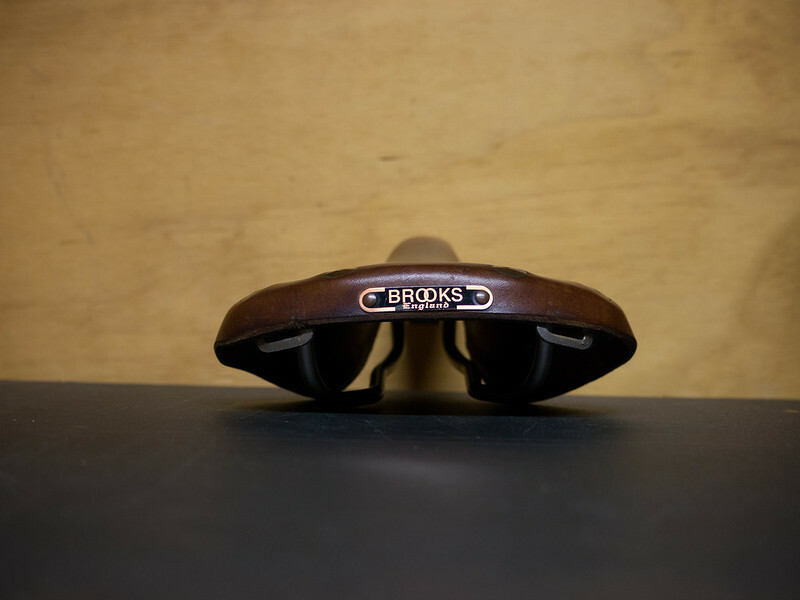 The first thing I noticed is how nice the brown leather looks. It’s like having a nice piece of wood with unique grain. 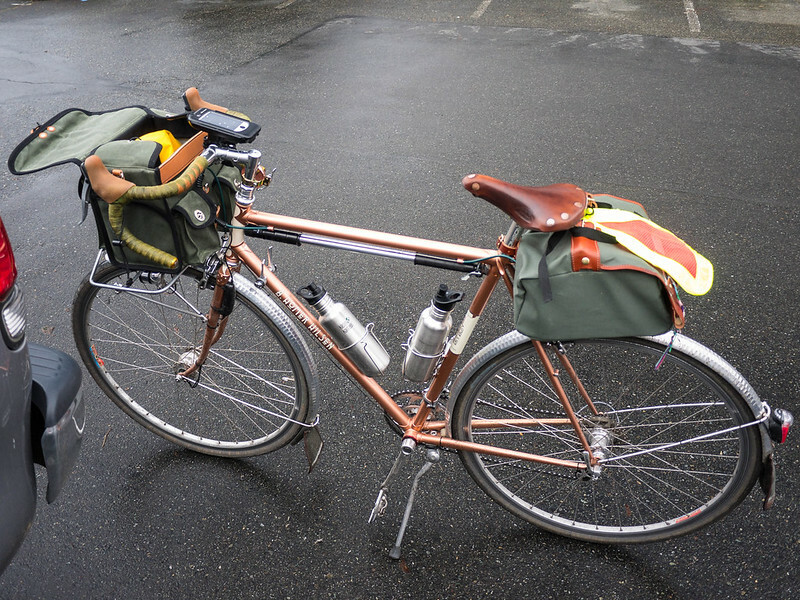 The copper rivets and nameplate were a nice match for my copper Hilsen, as well. The thing felt like it weighed about half of my normal B17 Special. All systems go! I ended up taking it on a longer ride (38 miles), and it was comfortable, but when I reached the finish, I decided it was time to end the experiment. I knew that after 100 miles, this slight bump would become a royal pain in the taint! No go. 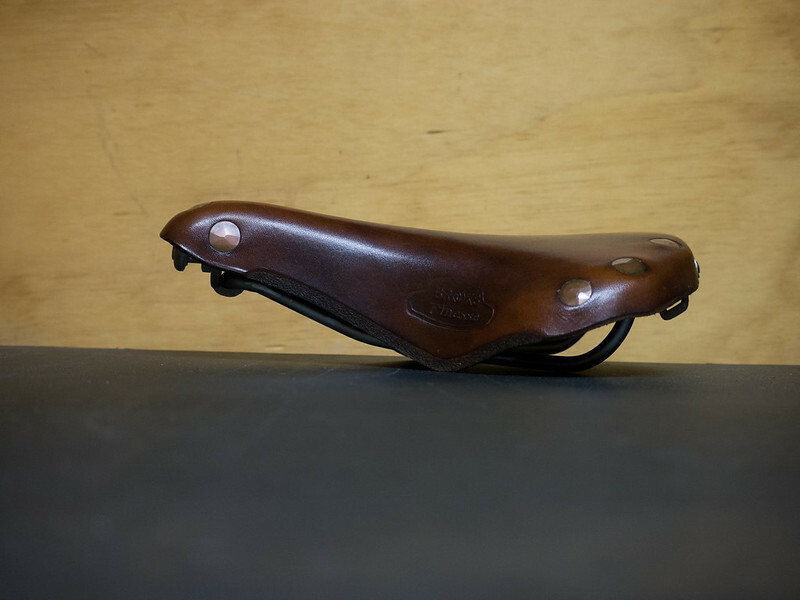 Oh well, it is a really nice saddle. I may hold on to it for a while and see if my wife or daughter find it to their liking. Next up – I’m going to try the Rivet Pearl (again) on a longer ride. I may have it just about dialed in this time, and the shape is superb!